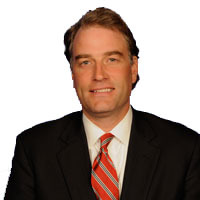 Front Page » Events » Did Robert Hurt even read the jobs report? “This administration’s job-killing policies are not only impeding the robust economic growth we need, they are also turning full-time work into part-time work, making life harder on families that are struggling to make ends meet,” Hurt said in a statement on the jobs report, which had the unemployment rate holding steady at 6.7 percent. The Obama administration inherited an economy in January 2009 with an unemployment rate at 7.8 percent at the beginning of a recession that pushed unemployment to 10 percent in October of that year and stay at or above the 9 percent level into the fall of 2011. Real gross domestic product has also pushed upward in the Obama years – from $14.57 trillion in calendar year 2008, the final full year of the Bush administration, to $15.93 trillion in 2013, growth over that period of 9.3 percent. But back to the job-killing policies rhetoric from Hurt. The Bureau of Labor Statistics record for nonfarm employment was registered in January 2008, when 138.365 million Americans were employed either part or full time. March BLS data has 137.928 million Americans at work, a difference of 437,000, and average weekly hours worked is 34.5 hours per week, just off the 34.7 hours per week average in January 2008. And the number of long-term unemployed/underemployed (which includes the part-timers who would rather work full time) is down from a high of 17.1 percent of the workforce in the fourth quarter of 2009 to 12.7 percent in March 2014. The jobs situation sure does seem to be improving with all these job-killing policies.